DISC is the universal language of observable behavior. It explains how a person does what they do. The four components of DISC are defined as Dominance, Influence. Steadiness, and Compliance. I's are "people people" who like participating on teams, sharing ideas, and energizing and entertaining others. S's are helpful people who like working behind the scenes, performing in consistent and predictable ways, and being good listeners. C's are sticklers for quality and like planning ahead, employing systematic approaches, and checking and re-checking for accuracy. 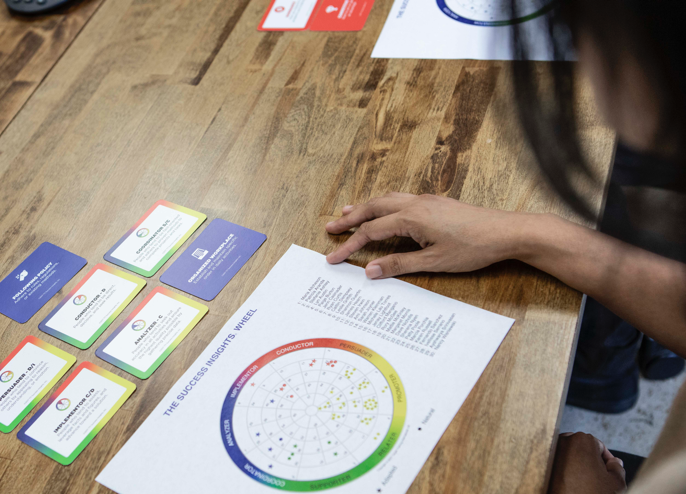 "I use the DISC Profile in virtually all of my industry workshops dealing with leadership and management. 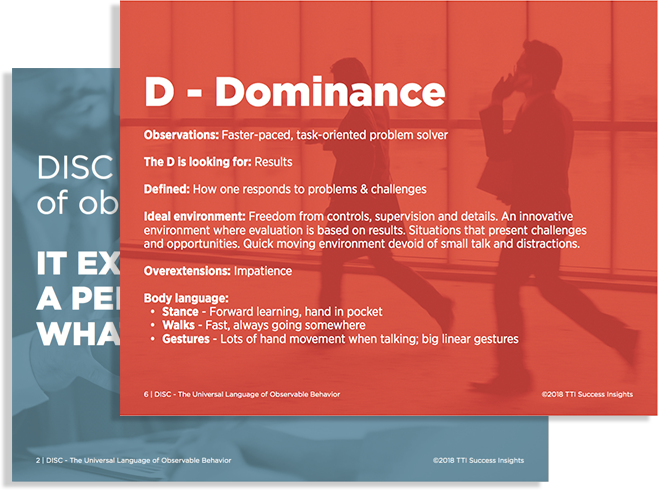 I consider an understanding of the four different behavioral styles critical to effective communication and employee development. The DISC Profile is easy to administer and score. " This 6-page booklet contains a coin-rub Style Analysis (MFS) questionnaire that allows a person to quickly respond, score and graph their DISC results manually. The Style Analysis instrument was designed to help people win and to achieve a greater degree of success in life and work. The Style Analysis Short Form contains abbreviated interpretation of DISC in the booklet. This glossy 22-page, self-scoring instrument allows you to measure an individual's behavior with a coin-scratch Style Analysis (MFS) questionnaire complete with instructions to hand score the instrument and plot your DISC graph. The Personal Insights Profile helps the person to understand their own and others behavioral styles to improve communication. It incorporates the four dimensions of normal behavior with 24 specific graphs that are easy to reference for effective learning. The instrument can be used for team building, seminars, training, counseling, mentoring, customer service, management development, interpersonal communications and self-development.